Crop tops are mainly associated with the summer time. I tend to wear them most days if the sun decides to make an appearance - in a few years time I doubt I'll get away with wearing them so I better make the most of the time I have now. Just because it's approaching winter however doesn't mean that the body baring favourite piece has to be banished to the back of your wardrobe. Just like any other piece, it's all about styling and opting for more layered pieces. 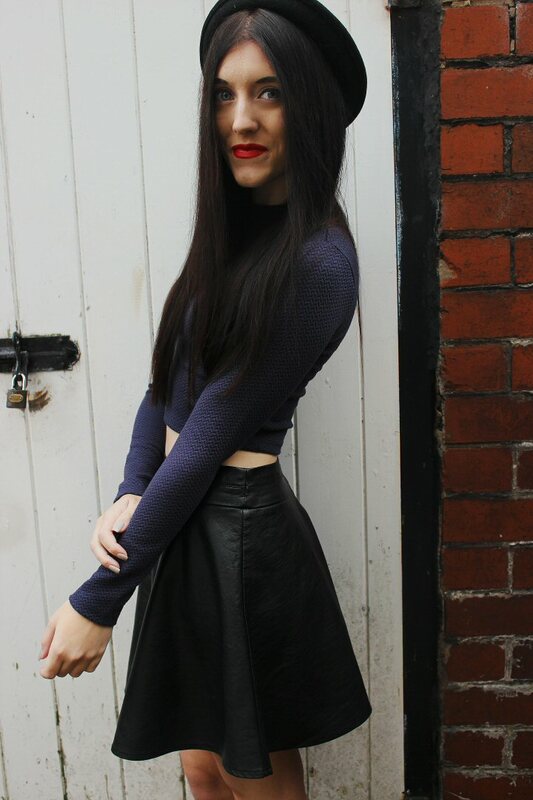 The three main things I find that makes an autumn/winter crop top are length, colour and thickness. Summer crops tend to be of a thinner material, whereas in winter, unless you want to freeze death you need to avoid these. 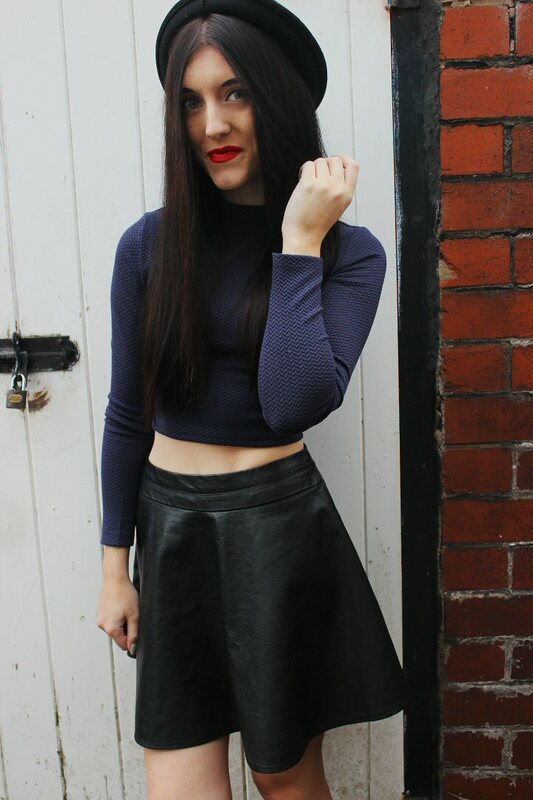 Invest in crop tops of a thicker and more sturdy material - because sometimes fashion can be stylish and practical. Second, and probably most obvious - look out for longer lengths. 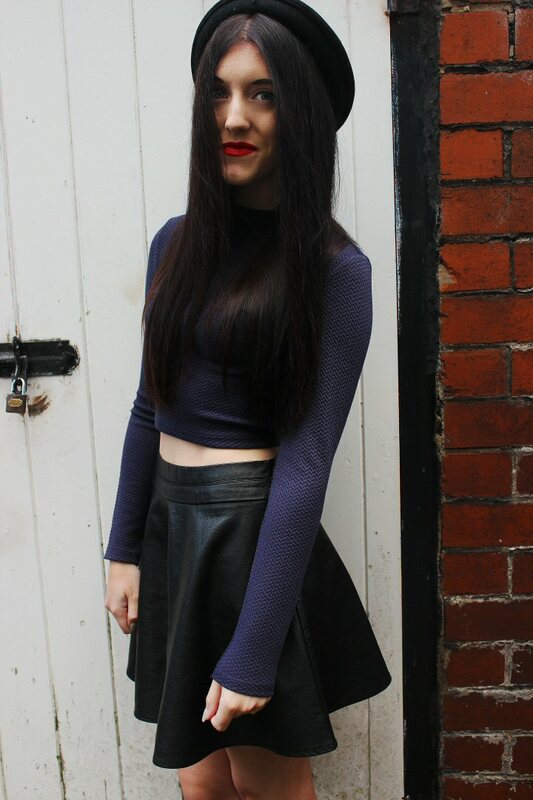 Long sleeves and a longer crop will keep you warm and make you feel like less is on show. And finally be careful with colours. Neon shades and bold patterns tend to be reserved for summer days whilst come winter people tend to lean towards more autumnal shades of berries, navy, black, grey and forest greens.